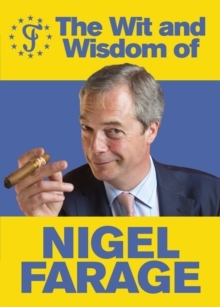 The definitive collection of Nigel Farage's witty quips, wise pronouncements and political insights. Every single one of them. Nigel Farage is a down-to-earth ex-banker and self-styled man of the people. He was elected to the European Parliament in 1999 and has attended occasionally ever since.